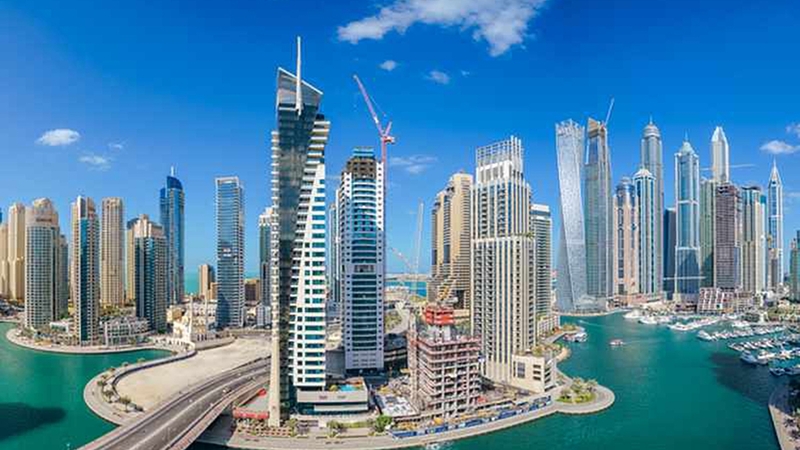 Dubai's property market is witnessing signs of green shoots as the number of transactions increased in the first two month of 2019 while developers also report good numbers as lower prices attract new buyers despite oversupply in the market. "In the first two months of 2019, there is increase in number of transactions. There are more buyers in the market. The government's initiatives like 100 per cent foreign ownership and 10-year visa are the privilege that the investors are looking for. We are targeting new markets like Africa, the US and Canada to enhance foreign investments into Dubai," said Majida Ali Rashid, assistant director-general of Dubai Land Department(DLD). "Dubai's property, real estate infrastructure as well as investors are pretty matured now," she said on the sidelines of the first day of the 3-day International Property Show, which began at the Dubai International and Exhibition Centre on Tuesday. Farhad Azizi, CEO, Azizi Developments, also echoed Majida's views, saying there is an uptick since December 2018 and the first quarter of 2019 have been better than the same quarter last year. "The first quarter of 2019 is much better than 2018; things had started to improve from December 2018, not just for us, but for other developers as well. Momentum is picking up and there is a lot of excitement ahead of Expo 2020 Dubai. I believe it is good time to buy because prices are low," he said. "The good thing is that new demand is coming from new buyers. Majority of them are end-user and non-residents from China, GCC, Africa, India and Pakistan." Azizi pointed out that some developers are also giving business licence on buying a new home as an added incentives to new buyers coming to this market. "We like those things so we have done it as well. Dubai has that 'wow' effect and when the 'wow' effect is there the trend will pick up. I still think that it is a good time to buy." He noted that Dubai's real estate market will take a couple of years before it gets past the supply glut. "People are looking at Dubai as a long-term play. A lot of residents are thinking that it is a time to go for a property buy. If you're here longer than 2 years and 3 months, it makes a lot of sense to buy property with the kind of payment plans being offered in the market," he added. Atif Rahman, director and partner of Danube Properties, sees current inventories will be absorbed by the market by winter when demand will pick up and there might not be enough supplies left for buyers. "That's why, it is the right time to buy for end-users, who can get the best from bargain." He noted that Dubai's real estate market will continue to attract investment, regardless of the demand-supply situation and how it changes based on the market conditions. "Right now, off-plan sales might grow at a slow pace and sale of ready-to-move-in homes might be an attractive proposition, depending on how the developers attract the home buyers." "Robust activity in the secondary market denotes that end-users are still active and purchasing homes in Dubai. When compared to the first two months of 2018, off-plan property transactions have declined by 7.8 per cent this year," according to Property Finder research. "Prices in the secondary market continue to be more attractive and affordable, while sellers have been much more motivated, one reason due to their competition with off-plan, ready stock," said Lynnette Abad, director of research and data at Property Finder. Secondary market transactions in January and February 2019 are down only by a marginal 1.4 per cent in a year-on-year comparison, it added. For apartments, the Palm Jumeirah, Dubai Marina and International City accounted for the most secondary market transactions in the first two months; while Dubai Hills Estate, Downtown Dubai and Dubai Creek Harbour (The Lagoons) took the lion's share of off-plan deals. Azizi predicted that the price of an apartment that now costs Dh1 million will increase to about Dh1.1 million by December 2019. "Prices will be 10 per cent more expensive, provided it is a good location project." Going forward, Azizi believes that those properties that are closer to Sheikh Zayed Roadsuch as Downtown, Dubai Marina, JBR etc. will continue to witness good demand in the next 5 to 10 years. "If developers can rightfully match demand with the supply, then there is no reason why we can't see prices rising at slow but stable rate in the coming years. In 10-years, if we can get CAGR of 3-4 per cent, we would be happy," he added.